Alexandria Ocasio-Cortez, Andrew Gillum, Stacey Abrams, Beto O’Rourke. These are just some of the names that you’ve been hearing in the news during the run-up to the recent US midterm elections. Notoriously a forgotten part of American politics, this year’s midterms were poised to be the most important and poignant in recent years. Polls and studies suggest that voting numbers this year were at records highs, with the 18-35-year-old bracket up by at least 40-50% in some states. After the victory of Donald Trump in 2016, the anti-Republican sentiments began to grow across the US. Frustrated by the lack of kept promises by the Trump administration, strictly ‘red’ areas of the US were starting to ride what was coined as the ‘Blue Wave’. The House and the Senate have been majority Republican since 2010 but a new wave of voters has flipped that on its head. A new era of politics is dawning on the States, and the midterm elections will shape the American political landscape for the next few years. So what happened, and who got elected? 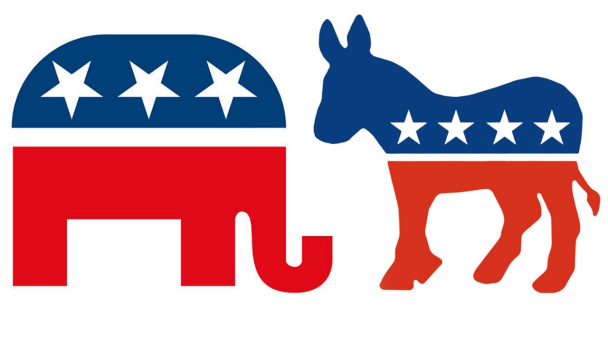 American voters were inspired by a new message of bi-partisanship by both Republicans and Democrats. Healthcare and immigration were the main talking points for the last few months of campaigning, with both parties agreeing there needs to be decisive action in government. The methods of action, however, is what has divided voters this year. Republicans and Democrats historically vote for their party, regardless of the candidate but these midterms have shown a shift away from the old ways. People are voting more on the basis of someone’s character and less on the colour of their tie. Most Democrats are arguing for better immigration laws, and for the end of family separation whereas Republicans are arguing for closing borders and deporting illegal immigrants. Nothing’s changed in that respect, but at least they can agree something needs to happen. Healthcare again was a divisive topic in local debates with Republicans promising the repeal of ‘Obamacare’ whereas Democrats support furthering it, allowing to advantage more people. It was on these kinds of social issues that Americans were mainly placing their votes. However, Republicans swinging their votes to Democrats was a big movement this year, with many of them again crediting it to a frustration with the apparent inaction in Washington. Now for the big names this year, candidates who shocked the voters and America with their victories. Alexandria Ocasio-Cortez was elected to New York’s 14th Congressional District making her the youngest woman to ever hold a House seat at the age of 29. History was made when Democrats Rashida Tlaib and Ilhan Omar became the first Muslim women in Congress and Deb Haaland and Sharice Davids became the first Native American women in Congress, only 94 years after being granted the vote. 19 black women were elected as county judges in Harris County, Texas. In total 96 women won House seats, a new record, with 65 incumbents and 31 newly elected. The first openly gay man to be elected Governor, winning the vote in Colorado. Ted Cruz retained his Texas Senate seat as the incumbent, beating liberal Democrat Beto O’Rourke although the latter’s followers are already speaking of a possible 2020 Presidential race. Kyrsten Sinema won her first term as the US’s first openly bisexual Senator, and Bernie Sanders won his third term as the independent Senator for Vermont. But what does this mean in the long run? With the House now being a majority Democrat, they have the power to block bills presented by Trump and make laws that favour Democratic views. The Senate is still controlled by the GOP so the following few months will be interesting to watch, as the US will be wondering if this is the year bi-partisanship really works. These midterms were extremely important, with more young people voting than ever before. Pollsters and websites like Politico were astounded at the numbers coming from early voter polls and have already begun to predict what the 2020 Presidential race will look like. Democrats have seen a spark in popularity over the past two years, presumably due to Donald Trump’s administration and these midterm results reflect that. If Beto O’Rourke can get almost 50% of the vote in a deep red state like Texas, the next presidential election is shaping up to be more exciting than the last. But can the Dems keep this momentum up? They were notoriously cocky about their assured victory in 2016 and the blow of Hillary Clinton losing is still fresh in minds of many blue voters. Will these midterms finally explain how imperative it is to vote or will we see a repeat of the same patterns as we did in 2016. All that matters now is that Democrats have powers they haven’t had since 2010 and only time will tell if they use them to their advantage.